Peter Adriaens, PhD: Entrepreneur & Professor of Civil and Environmental Engineering, Professor of Entrepreneurship and Strategy in the Ross School of Business, and Professor of Natural Resources, at The University of Michigan. I am Professor of Civil and Environmental Engineering, Professor of Entrepreneurship and Strategy in the Ross School of Business, and Professor of Natural Resources, at The University of Michigan. I am past-President of the Association of Environmental Science and Engineering Professors (AEESP), a member-by-eminence of the American Academy of Environmental Engineering (AAEE), and Member of the Belgian Royal Academy of Applied Sciences, where I was recognized for bridging engineering and entrepreneurial business development in academia and practice. I am appointed as a Finnish Distinguished Professor, focused on the design of Multi-Asset Investment Funds for Industrial Renewal, in collaboration with the Research Institute for the Finnish Economy (Helsinki), institutional investors and policymakers. This recognition was the result of my contributions as a top-5% global cleantech expert. I am Co-founder and CEO of Equarius Risk Analytics LLC (www.equariusrisk.com), a financial technology firm addressing risk pricing of equities and portfolios exposed to water risk. As CEO at The KeyStone Compact Group (www.keystonecompact.com), a global business analytics and asset advisory company, I lead a team focused on proprietary analytical tools for economic developers, business incubators, and long-term investors. 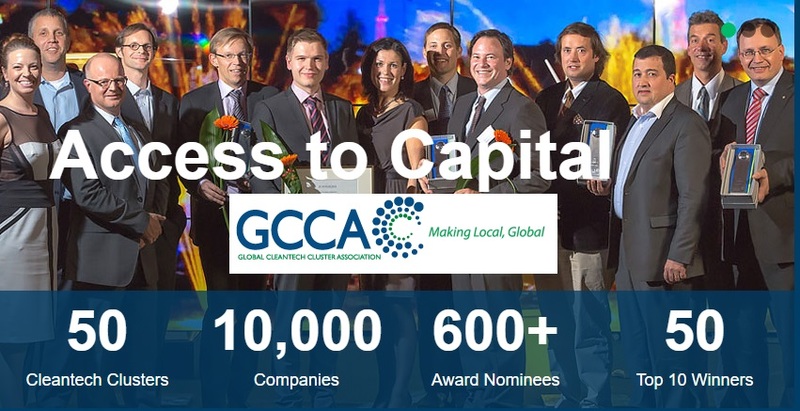 As co-Founder of the Global CleanTech Cluster Association (GCCA; www.globalcleantech.org), a Swiss-based foundation serving 56 clusters in the Americas, Asia-Pacific, and Europe, representing 10,000 companies and $3.5 bn. under management, I focus on catalyzing global value system development and investment. For more information, see www.linkedin.com/in/peteradriaens/. Connecting the dots in complex situations. Extracting new insights from disparate and disconnected information. During my career I have always focused on integrating quantitative engineering and contextual social science information, and on connecting academic approaches with activities in the practice. This background allows me to develop fluid and flexible thought patterns and frameworks. To become a leading fintech (financial technology) entrepreneur focused on growing green economies. Wife, daughter and son. Eclectic, non-conformist students and professional colleagues that move mountains and change the paradigm, such as Chris Haeuselmann (GCCA) and Corrie Clark (DOE). Coffee shops in Italy and France.